Born in Mariano Comense (Como) on 7th June 1964, got the diploma in Percussions in 1992 at the Music Conservatory “G. Verdi” of Milan (branch office of Como) under the guide of Maestro Ben Omar, G. Sciuto, W. Morelli. He won the first prize at the International Contest for Young Musicians of Stresa and at the National Percussionists Contest of Bovino (Fg) (category for groups) both in 1988. Since 1986 he has been working with the percussion ensemble “Naqqara”, “Misfiz Percussion” and other ensemble of contemporary music. They attend festivals all over Italy and also organise “didactic” concerts for schools. With the group “Abaqwua” he has worked at the registration of a CD where percussion instruments are the link among the musical episodes. Since 1993 he is member of the “Crams Percussion Staff”, with which he toured in Germany with the German percussionist Gunter “baby” Sommer (Dresda, Lipsia, Cottbus, and so on) and in 1995 registered a concert in Costanza for the German radio. With the same ensemble, which later became “Percussion Staff”(www.percussionstaff.com) in April 2003 he has recorded the CD “Nix But” that is going to be published and in the same year he has taken part in the Jazz Festival in Clusone. 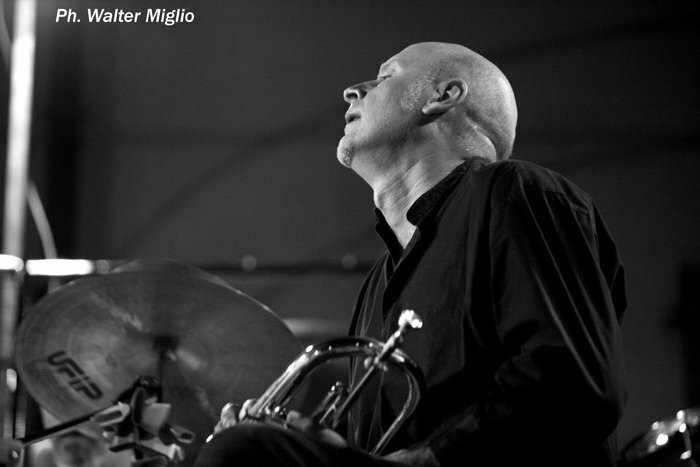 Since 1994 he has been cooperating with the “Crams Jazz Ensemble” taking part in “Clusone Jazz 94”. In the same year he took part in the jazz festival in Como with the guitar duo Aliffi – Morales. During summer 1996 he started studying trumpet and went again to the Jazz Festival in Clusone with the ensemble of wind instruments and percussions “Bella Come La Luna”. He also collaborated to the arrangement and composition of the presented pieces. In 1997 with the same ensemble he took part in the “XXIX International Jazz festival in La Spezia” (guest: Michel Doneda). In December 1997 he joined the group “Zion”(www.zion.it) and realised several concerts with them, whose recordings are grouped in the CD “Kala”. In October 1998 he was invited as guest to a recording within a stage held by Michel Doneda (Le Fanfare de la Touffe) at the Crams in Lecco. In June 1999 he recorded with the group “Maramao” the CD “Il Paese dei Contrabbandieri” and collaborated to the composition and arrangement of the pieces. He has worked and still does with: Dissoi Logoi (www.dissoilogoi.com) – Vincenzo Zitello (www.vincenzozitello.it) – Conteo Project (www.conteo.it) – Francesco Magni (www.francescomagni.com)Roberto Riva – Tipi & Motivi – Luis Agudo – La Magiostra – Rakasta – Orchestra Sinfonica Mediolanensis (Città del Vaticano, Aula Paolo VI) – Mell Morcone (www.mellmorcone.it). 1986 Fivizzano, 1987 Montepulciano, 1988 Desenzano – held by Maestro Ben Omar. From 19987 to 1999 he has done didactic activities for CRAMS (Research Centre for Art, Music and Performance) of Mariano Comense. For the same CRAMS and for the seat of Monticello Brianza he was coordinator from 1992 to 1997. Iscriviti alla newsletter. 133 iscritti.